I recently read a few previously unpublished lectures by Frederick Buechner. The first one met me right where I was. I needed to walk through my life and sort out some things. I needed to let go of empty relationships. I needed to carve out greater moments inside each day to sit at the feet of Jesus. The story telling in this book helped me sort out some things. The words were like that of an old friend we wish we all had. It is a rare person who can tell simple stories about their lives and it hits you to the core. 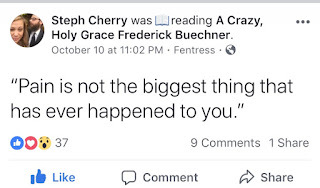 Frederick Buechner had this gift. This was one of the most impactful lines of the the second book. I read it over and over and shared it over and over. It is so easy to identify as a victim and forget that we are hemmed in by glory. The enemy is tricking us into being infatuated with inferior things and we must ruthlessly defeat the lies before us. This isn't who we are. We are hand-crafted image bearers of the Most High God. We have been redeemed and beheld his glory. We have been witness to unequivocal beauty. That is who we are. Free, Image-bearing witnesses of beauty. I also hand-painted the church of my soul because of a story in the second book. You can see that in my Instagram post. By hand-painted, I mean that I used no brushes. I simply mixed paint on the canvas with my hands to create it. 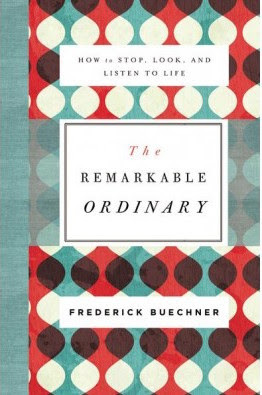 I have been reading a couple of newly released books by Frederick Buechner. They are comprised of unpublished lectures he had given. His words are so raw and honest. Reading them has been like taking deep breaths into places that may have never felt air. In one chapter he talks about meeting a woman who taught him to pray. She told him to imagine his life as a house. His memories comprised every room. She told him that once he had all their rooms in place in his mind to invite Jesus into them. Imagine him there walking around and looking at things, touching everything with his healing mercy. Continue inviting him as new rooms emerge, the secret and the sacred. That led me to thinking of my life as a church. I knew it would be no cathedral. In my mind I pictured this old run down wooden church hidden somewhere in the country. I saw myself sprawled out face down on the wooden floor just listening to the soulful sound of God’s Spirit. Here is that rendering. God has been teaching me to worship him in the small parts of my daily life and he used this as a teaching tool. I think you will enjoy The Remarkable Ordinary. I'll share my thoughts on the second book tomorrow. I have not anticipated a book this much in quite some time. I was deeply encouraged after reading Kisses From Katie and I looked forward to the wisdom God would give her to share with us. Of course, the book did not disappoint. 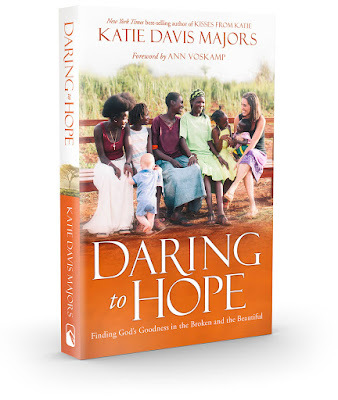 We follow her all over the streets of Uganda as she quietly loves and brings healing to those around her. We sit in the sacred space of the bedside of woman being ushered into the arms of Jesus. We follow her on a plane to America to get a young man desperately need surgery. We walk the isle at her wedding and welcome a new baby with her. My heart is wildly aglow from the word of her testimony. So much of her story I can empathize with. 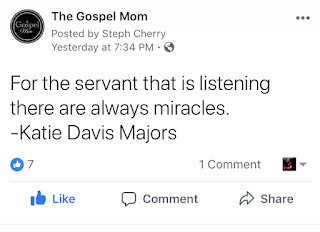 The same words he told her through scripture, he has told me (and I'm sure many of you). 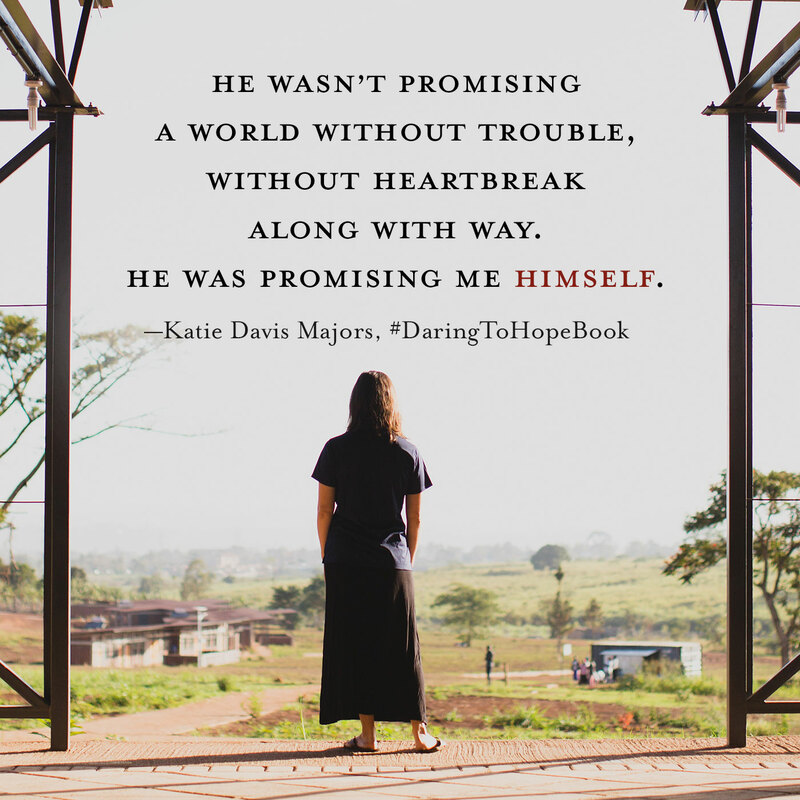 He walks her through the suffering God declares before the restoration in Habakkuk. Over and over Isaiah 61 speaks to her. Beauty from ashes doesn't often look what we think it will. Sometimes it comes as we usher someone into the arms of Jesus. One thing that resonated with me was that she said she was tired. She wasn't tired of serving or giving. She wasn't afraid. Her Spirit was simply so weary from seeing so much grief. So many addicted to alcohol, assaulted, ill, and one friend being poisoned by a rival. Through all of her hurt and questioning, God reminded her over and over that HE was strong when she was weak. He is why the time of singing has come and flowers spring forth on the earth in Song of Solomon. He who promised is faithful. I loved this book. I could hardly put it down. It encouraged me over and over to serve in my home and the streets.